Physical Description Soto Gantt looks every bit the descendant of Mexico where he was born. He is of medium height and build, and has dark brown eyes under a matching brown hair which he usually keeps short. However, the nose ridges prove the Bajoran ancestry of his mother. He is cheerful and genuinely interested in other people. He does not consider himself to be athletic. Metabolism has more to do with his fitness than exercise, although he loves swimming. He is clean but not neat. Off work he is often relaxing with a book or telling stories to a group of friends. When overcome with self-doubt he is very protective of his solitude. Ambitions He has no ambition towards command or personal records. 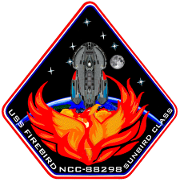 If Soto Gantt wants to be a great engineer it is for his passionate about the mission of the USS Firebird. To assist rebuilding efforts after the Cardassian War. He is especially sympathetic towards the occupied Bajorans. Hobbies & Interests Reading, swimming, and geology. Personal History Daniel Gantt Soto was born in Michoacán, Mexico in the year 2365. His father, Mateo Soto, was in his teen years when he met Azar, a young Bajoran whose family had taken refuge there during the Cardassian war. Mateo and Azar eventually wed. Daniel is their last child, and the youngest by eight years. He lives close to a large, loud extended family. Azar was a quiet woman given to periods of melancholy. When asked she would share pleasant memory of her youth but soon they began to repeat. If asked for a new one, Azar would smile and change the subject, or stand up and leave the room. She is gentle and supportive. Daniel’s father was often at the university in the early mornings and late evenings, preparing lessons or research in engineering. Mateo is loudly, earnestly supportive of all his children; however, he grew critical of Daniel over time. Daniel’s many interests often pulled him in different directions. Lacking his own focus, Daniel found it easier to let his father push him along in life rather than cause conflict. He grew very touchy about being corrected. His compassion is sometimes overshadowed by his desire to be always correct. His reluctance to be wrong leads him to indecision. There was no future in his dreams except to stay close to home, find a job (any job), get married and raise a family in Morelia. His viewpoint was almost entirely his father’s. Human. About the time he turned seventeen his mother began to experience chronic bouts of illness. During the following summer Daniel began to tend her by himself. To pass the quiet time he began fixing things. Slowly he learned how to fix larger and more complicated machines. And his mother began to talk to him. Perhaps it was her weakness, or the long one-on-one time with her son. After a few weeks Azar began to open up about herself. In those days he heard for the first time stories about Bajor, the effects of the war, and family left behind. Daniel learned how deeply his mother’s heart burned. The true strength she had to take on such a new, drastically different life. When she died after a long struggle the grief was terrible. Suddenly he realized how much he wanted to experience his other heritage. Azar’s heritage. 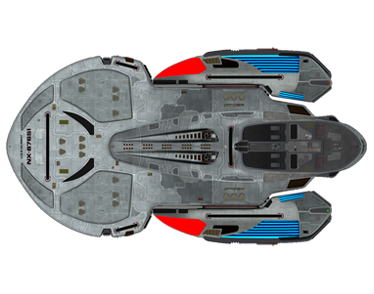 News came of a new starship class being built for relief missions in the aftermath of the Cardassian War. He enlisted immediately, leaving the only home he expected to know. 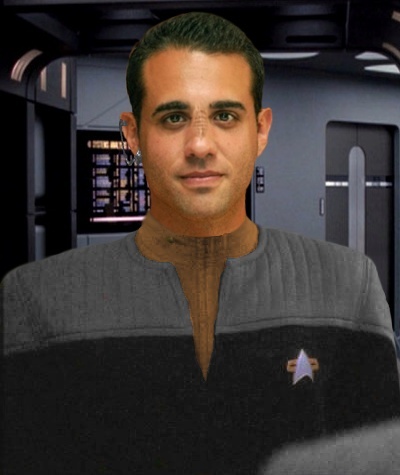 No longer Daniel, he took the name Gantt in the Bajoran style to enlist as Soto Gantt. After basic training he dove into A School. Although a diffident student, the years spent “fiddling” with things meshed nicely with the engineering classes his dad pushed him to take. His stint in C School prepared him for a role in Structural Engineering. More importantly, Daniel still drove forward with a secret desire to claim his Bajoran spirituality.